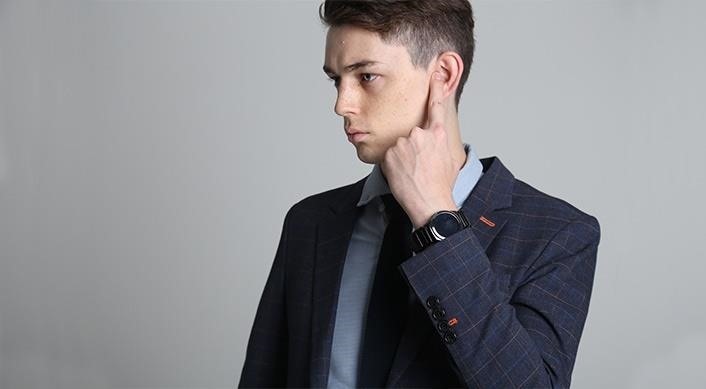 Another of the works in progress the company demonstrated at CES 2016, the TipTalk, could help you further hide whichever devices you're carrying. TipTalk lets you listen to your device through your finger. TipTalk allows you to listen to and interact with your synced devices through your body by pressing a fingertip to your ear. 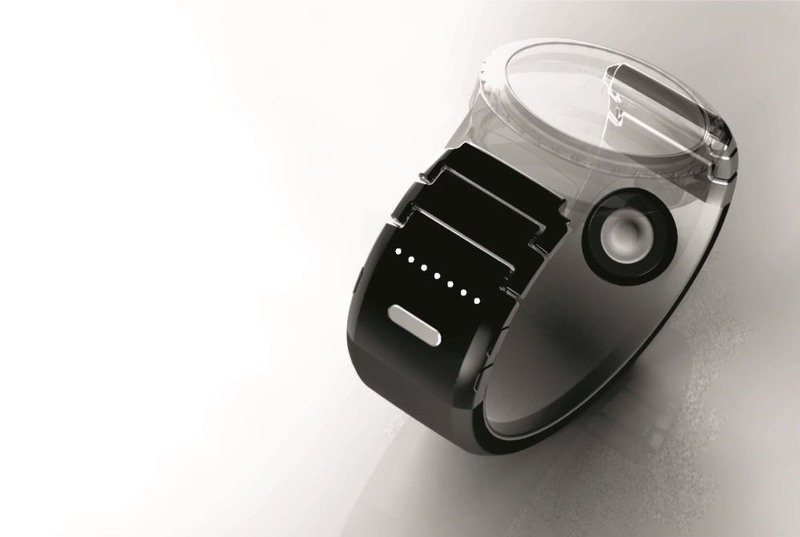 The device itself is a strap that goes around your wrist, very much like that of a watch. In fact, you can attach TipTalk to a watch, smart or otherwise. According to Samsung, the device allows you to take calls in public places without being overheard, or in noisy places where a handset won't cut it. While it makes sense that using TipTalk could make it impossible for others to hear the incoming audio, it's hard to imagine that your calls will be completely private since you still have to, you know, speak. The WELT measures things like steps taken and waist size. Back to the WELT. 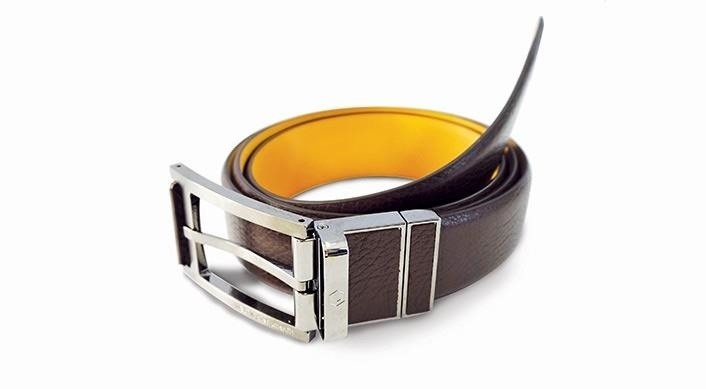 The wearable fitness device measures several things while doubling as a normal looking belt that keeps your pants on. The WELT keeps track of how many steps you take, your waist size, and the time you spend sitting down. It then sends this data to an app that crunches the numbers and conjures up a personalized exercise regimen and diet plan for you to follow. 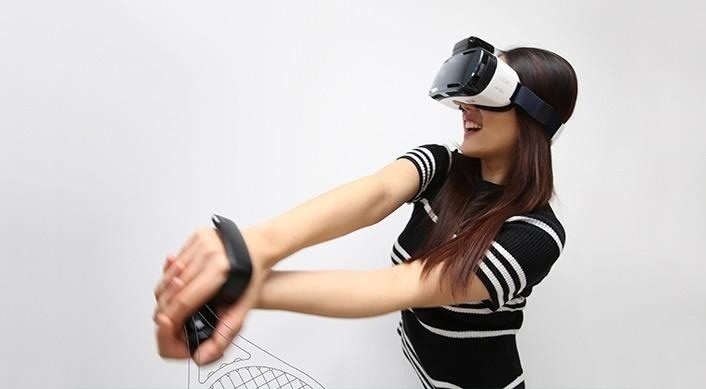 Last but not least, Samsung showed off its hand-motion virtual reality controller, the Rink. 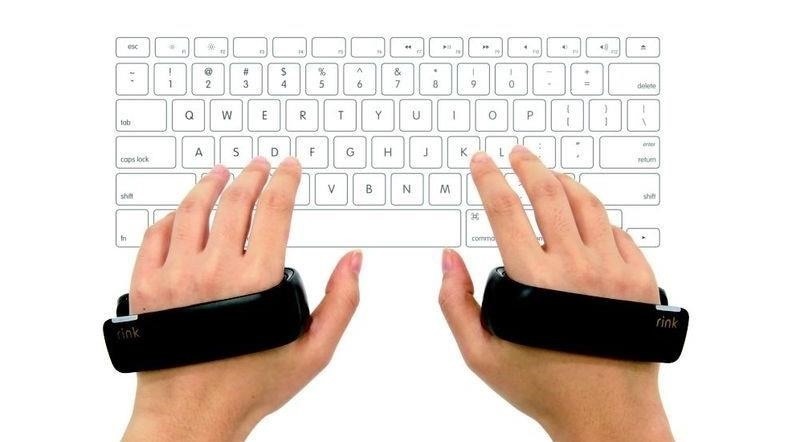 You slide one of these over each hand, kind of like brass knuckles, and you'll have independent control of each, allowing you more interaction in a VR world (a world that, if we take Samsung's ad for its VR Gear headset literally, will be a horrifying Terrordome where everyone has been possessed by Chuck D). You might be able to use Samsung's Rink to type on a virtual keyboard. These products are all in early development, and there's no telling when, or if, we'll see them released. But hey, it's nice to know they're thinking outside the box.